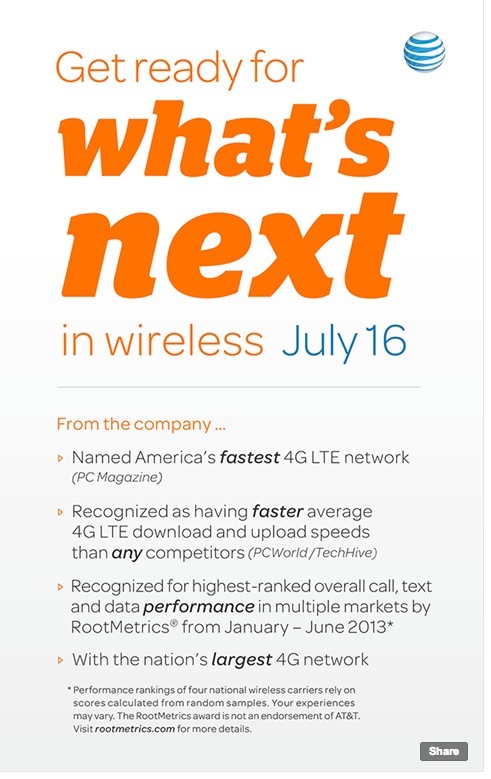 AT&T has just sent out a notice to the press to ‘get ready for what’s next’ in wireless on July 16th. The teaser image was distributed with a series of quotes about its 4G LTE network, praising its speed and reliability. Since the notice was clearly geared towards talking about its wireless tech, it appears that the announcement will have something to do with its network. Perhaps some LTE-Advanced news or whatnot. 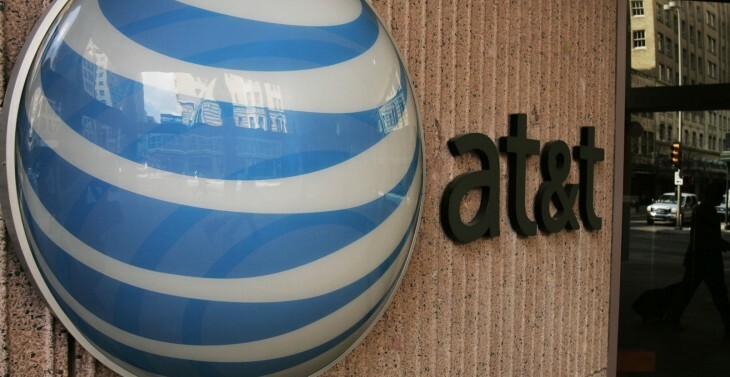 AT&T has been on a 4G LTE expansion tear lately, announcing that it had added over two dozen new or expanded coverage areas on July 2. Whatever the announcement, we’ll be sure to bring you the news.